Soft-Ride Comfort Boots help make the road feel less traveled by reducing the bumps and vibrations your horse feels while traveling in the trailer.They also help massage the frog of the foot when your horse shifts his weight, helping to promote good circulation throughout the hooves and legs during long trailer rides. You might be surprised by how much your horse trailer floor vibrates when moving down the road. Your truck’s tires, suspension, and seats work together to make the trip more comfortable for you, and our boots do the same for your horse. 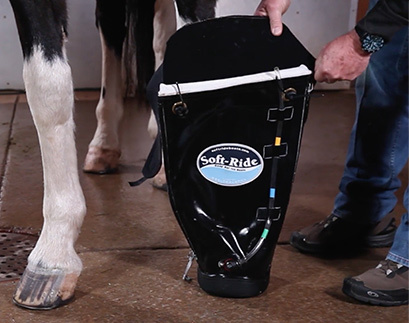 The deep gel orthotics in Soft-Ride’s horse hoof boots help absorb the bumps and blows that can make a trailer ride stressful for your horse. "Anyone who hauls in any kind of discipline needs to have them on the horses"
If you had to stand in a trailer for a cross-country trip, wouldn’t you rather do so in a pair of comfortable shoes? Soft-Ride’s horse hoof boots are like comfortable shoes for your horse. They help smooth the roads and ensure that your horse is rested and ready to perform right out of the trailer. If you have a stress-free tow, you’ll arrive mentally and physically ready to go. 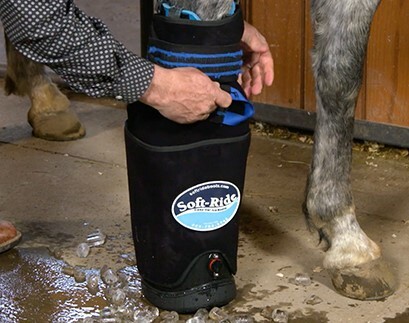 Soft-Ride comfort boots help your horse relax in the trailer, making travel less stressful for him. "When you get to a horse show, you can't start out with a horse that is tired." When traveling down the highway, vibrations from the trailer floor can travel through your horse's feet and up the legs. These vibrations create stress from hooves to hocks. 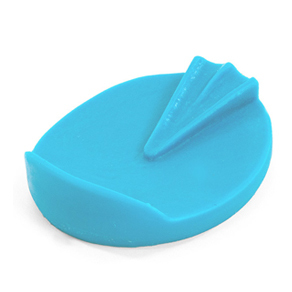 The deep gel inserts in Soft-Ride horse hoof boots help drastically reduce vibrations, thus reducing physical and mental stress for your horse. "...I guarantee you that Soft-Ride Boots are not something I would leave home without." If you’ve ever loaded your horse onto a trailer in the rain, you know how slick a ramp can be. Even a dry trailer ramp can be treacherous for a shod horse. Soft-Ride’s horse hoof boots feature a texturized, rubber sole that provides great grip on any surface while also protecting your horse’s hooves from inadvertent injury. "They wear their Soft Rides religiously. If you don’t have a horse that feels his best, its hard to win." Soft-Ride Horse hoof boots are much lighter than traditional floor mats. While rubber floor mats in your trailer can cushion the ride for your horse, they add weight to—and decrease the payload of—your trailer. Mats are also prone to curling up around the edges, creating a potential tripping hazard for your horse. Soft-Ride boots eliminate the need for trailer mats, thus increasing payload and improving safety. "One of my favorite things for making sure my horses are safe in the trailer is using the Soft Ride Boots." The original & patented "boot for horses." 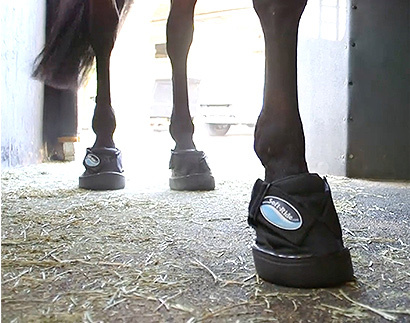 Designed to keep horses comfortable in the stall and on the road, equine practitioners also use the boot & gel orthotic to provide comfort to injured horses and protection to a healthy hoof. 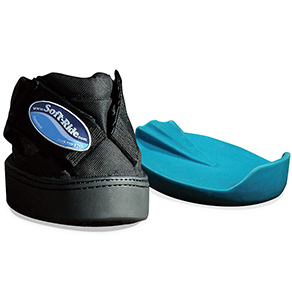 In addition to the included turquoise or purple Standard Gel Insert, Specialty Gel Orthotics are also sold in pairs and are designed for specific, therapeutic uses when treating injuries. Soft-Ride’s gel orthotics are designed to be easily interchangeable and replaceable so you can keep both sound and lame horses comfortable. “We spend anywhere from 8-10 hours a weekend on the road, but we can be be anywhere from 1 rodeo to 5 rodeos in a weekend. This year we did about, I’d say, 30-35 rodeos.